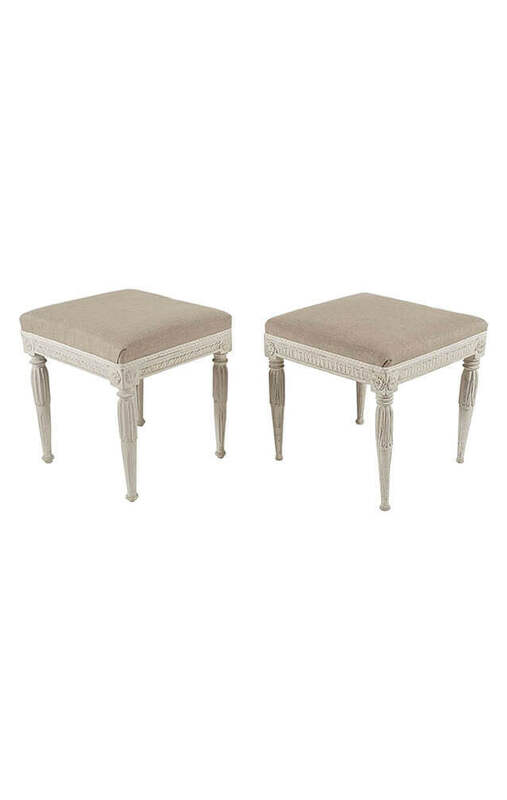 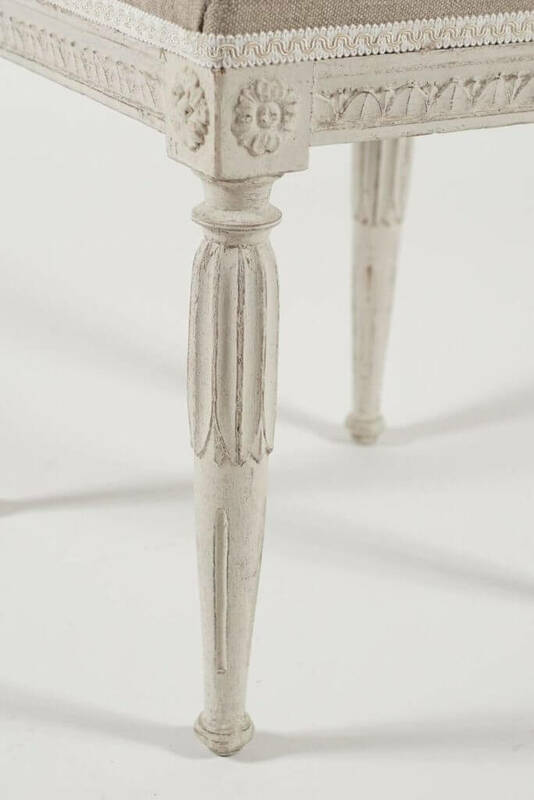 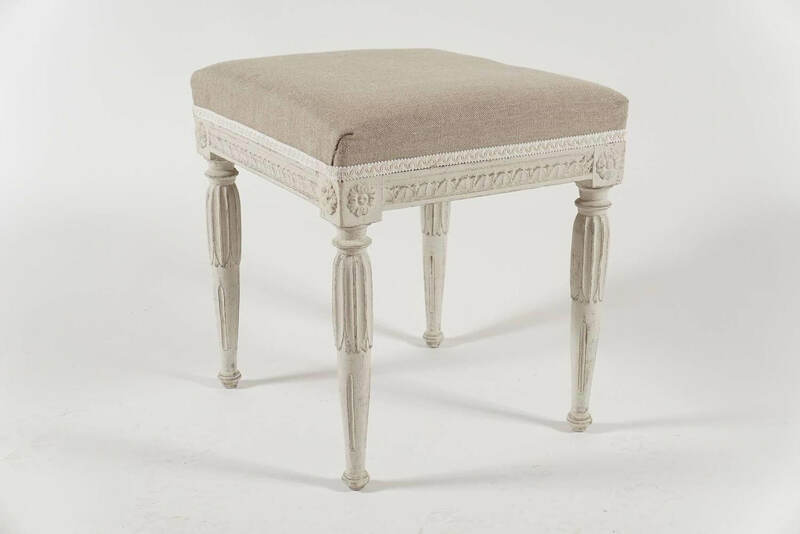 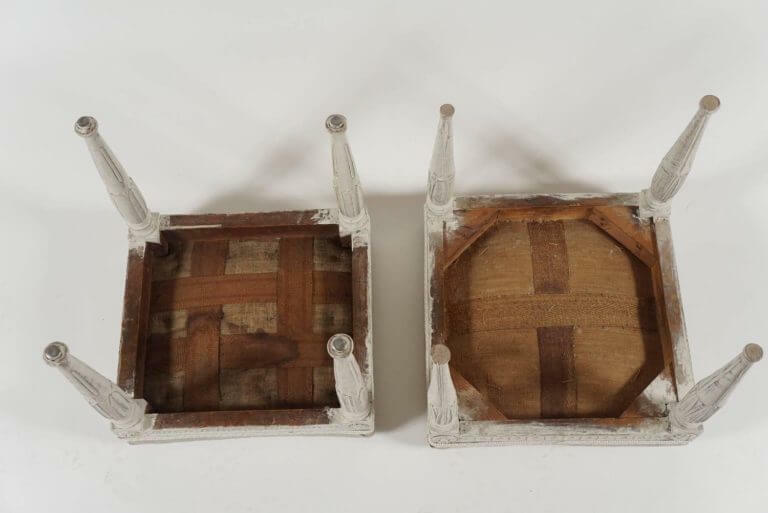 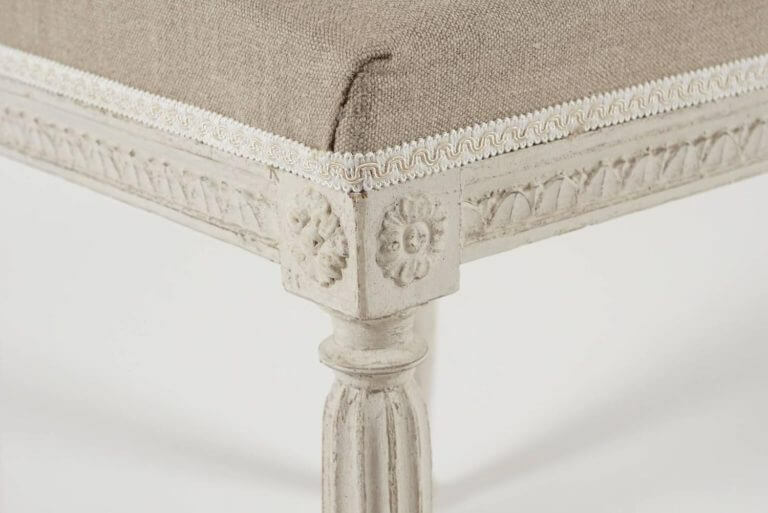 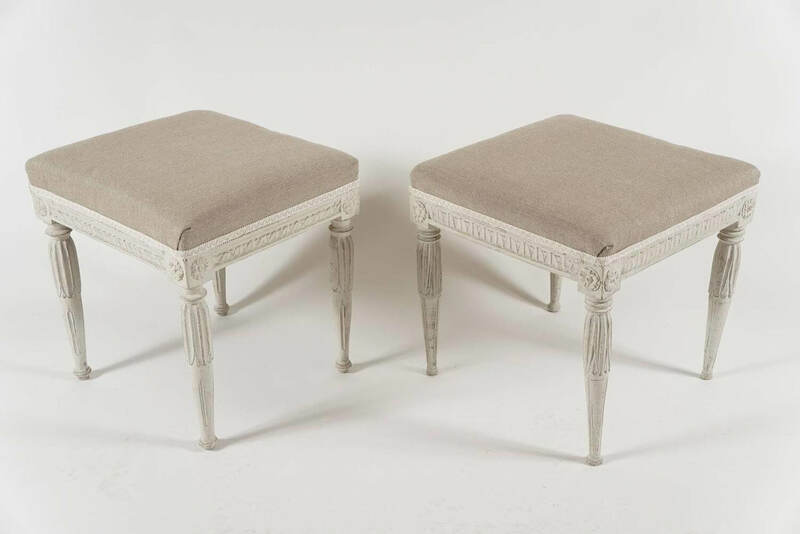 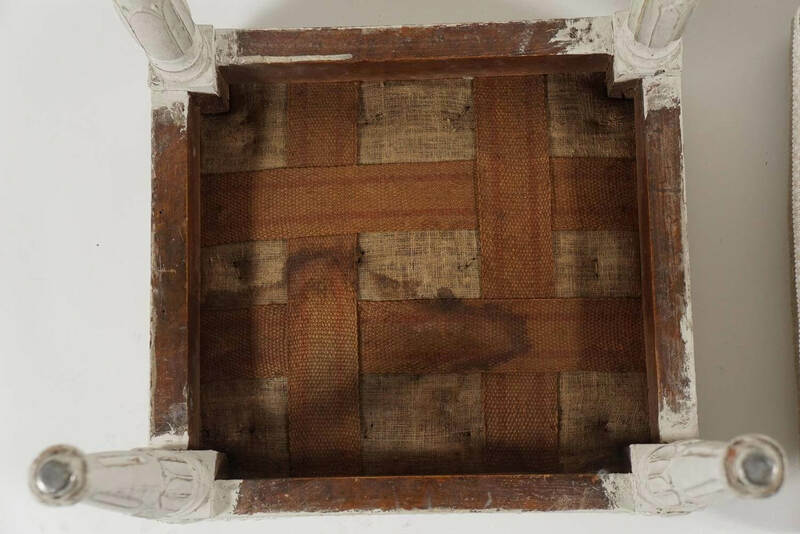 A near pair of circa 1790, Swedish Gustavian period painted wood stools having upholstered seats above carved 'lamb's tongue' seat rails joining rosette carved corner blocks on fluted, turned, and carved acanthus legs. 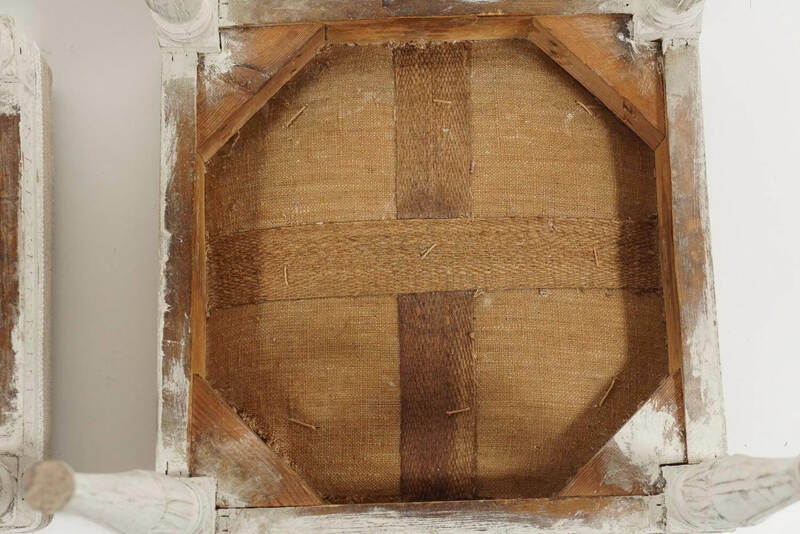 One measures 16.5" by 17" by 16.5" high; measurements for the other found below. 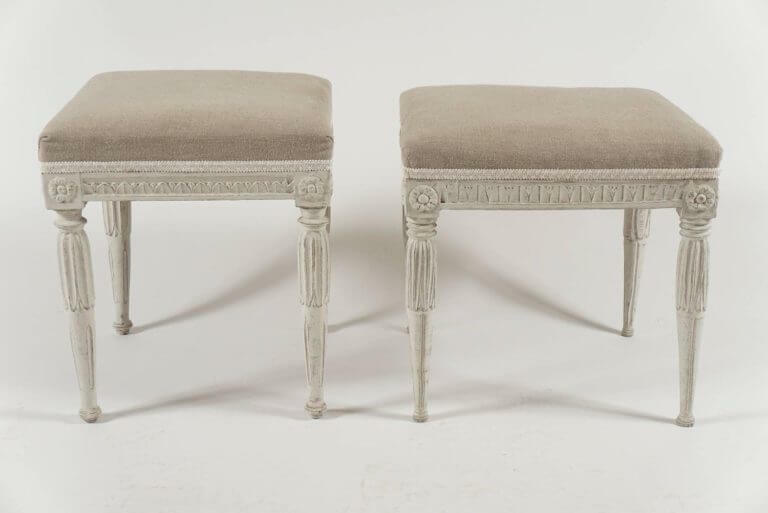 A near pair of circa 1790, Swedish Gustavian period painted wood stools having upholstered seats above carved ‘lamb’s tongue’ seat rails joining rosette carved corner blocks on fluted, turned, and carved acanthus legs. One measures 16.5″ by 17″ by 16.5″ high; measurements for the other found below.